By Tom Mower: My daughter in law Brenda used INTREPID & in just 30 minutes later she looks 20 years younger. A picture beats a thousand words and her photos prove that so very well. Can you visualize that almost any woman and many men would love to have this change on their face each and every day & night for the rest of their life! INTREPID is the only product that will do just that. – with Brenda Smith Mower Lindsay. 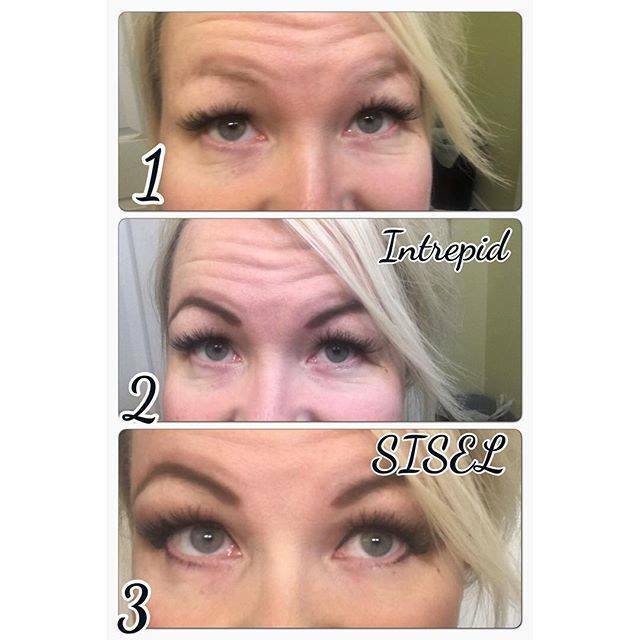 If you have wrinkles, eye bags, lip lines INTREPID will remove them every day you put it on for all day and all night.